I just read the article by James Pearce of The Liverpool Echo, stating why Liverpool is right to sign Kolo Toure. According to Pearce, the defender has plenty to offer and will be a useful asset. He goes on to state “Blessed with pace, strength and a good reader of the game, Toure is also a winner having clinched Premier League titles with both Arsenal and Man City. Rodgers has also brought in a leader in the dressing room with Toure having worn the armband for both club and country. He will be a useful asset both on and off the pitch.” Well, I beg to differ. For all the positive aspects of the deal, what is the cost? At 32 years of age, he is not going to contribute beyond the current contract he has signed. Considering the experience of playing at the top level, multiple clubs would have been interested. So, it is quite likely that he has received a hefty signing bonus. Also, although he’s supposed to be taking a pay cut, he’s reportedly going to be on wages of £75,000 per week, equating to about £3.9 million per year. If he’s supposed to be the backup to Skrtel and Agger, filling in when they are injured, then he’s likely to be making about 25-30 appearances over the course of the season, meaning that he’ll be earning close to £150,000 per appearance. On the other hand, if Skrtel is sold, then he seems to be the first choice pairing with Agger; but then Liverpool will also sign another defender (Kyriakos Papadopoulos of Schalke and Tiago Ilori of Sporting Lisbon have been linked with Liverpool) as Brendan Rodgers hasn’t shown too much faith in youngster Sebastian Coates, who may also be sold in the summer. So, if Liverpool do sign Papadopoulos, it may be safe to assume that he is likely to start with Agger, with Toure as the backup. Paying such high wages for a backup player does not make sense to me and this money could be better spent elsewhere or on a better player who would likely serve the team for a longer period of time. I see the Gary McAllister references, and although Kolo Toure has led the national team as well as his club teams, he will surely take time to adjust to the new surroundings and certainly isn’t going to be as vocal as the man from Bootle whose shoes he is being brought in to fill. 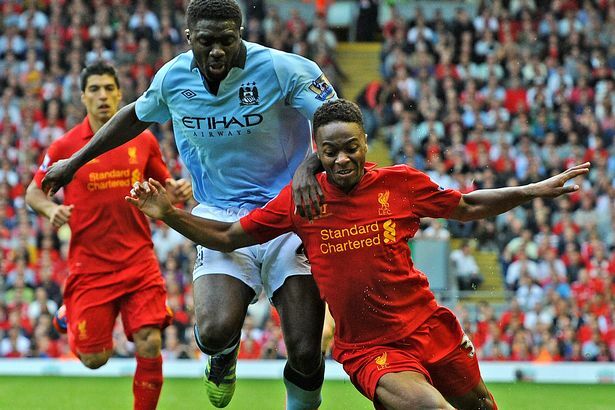 While it seems to be a smart deal to sign up an experienced player with proven credentials in the Premier League, a welcome change from FSG’s youth oriented transfer policy, I am not so sure that Toure should have been the exception to the rule. While I will be happy to see him succeed at Anfield and take us back to the Champions League, I am not convinced that this deal is destined to succeed.